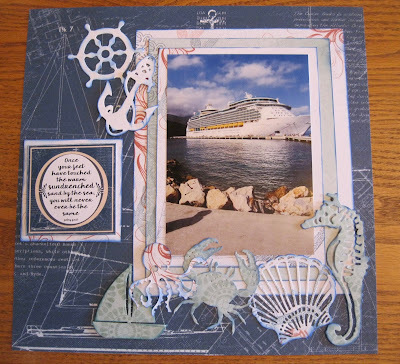 Kathi here to share with you a double layout using Quick Quotes new papers pack "Adventure Awaits". This beautiful blues, greens, rust and white papers with a Sea and nautical theme. 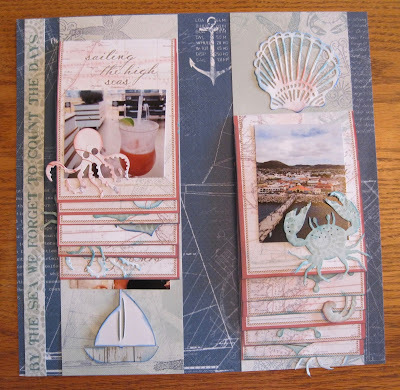 Layout one I used the patterned paper 102 as the base layout. The photo is a 5 x 7 framed with three layers of patterned paper. On each layer the edges of the paper was distressed using 2017 Royal Blue Powderpuff Chalking Inks. 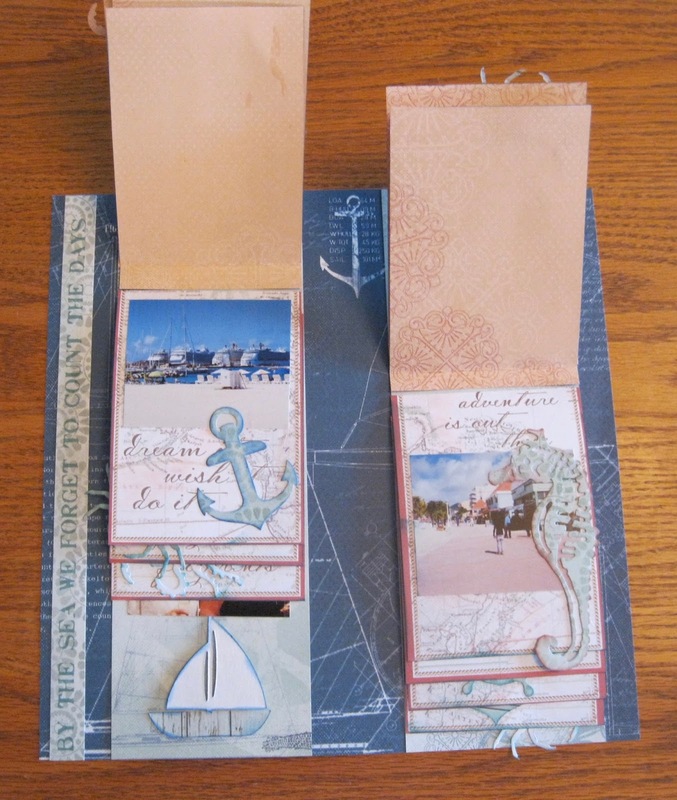 They layer papers are 104 was used as the outer layer and the third layer, 100 was used as the middle layer. For the die cuts I used 100 and 104 along with 2017 PowderPuff Chalking Inks in Royal Blue, and Bora Bora. I used the same base paper. Using 105 cutting the panels out of the paper using them as my photo mats. 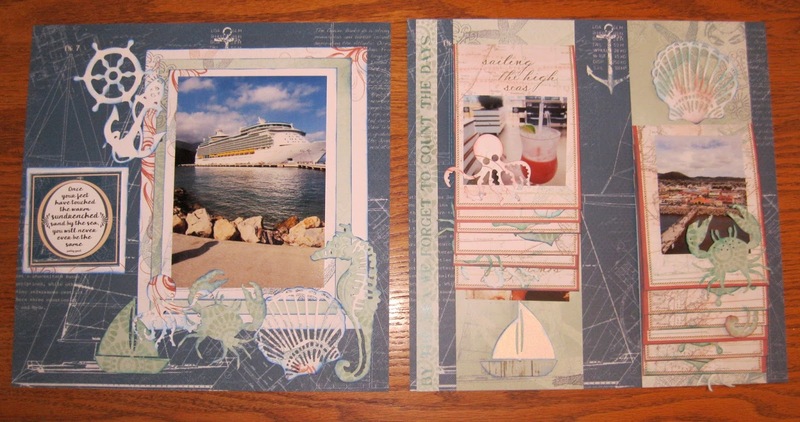 The photo mats where added to a 4 X 12" 100 paper. The photo mats all flip up to reseal the photo mat underneath. The underside of each mat is a place to add journaling for each of the photo's. Each of the photo mats was distressed with 2017 Royal Blue Powderpuff Chalking Ink and a die cut shape was added to each photo mat. The shapes where distressed with the 2016 Barn Board Powderpuff Chalking Ink and 2017 Royal Blue and Bora Bora Powderpuff Chalking Inks. A strip from the 500 "By the Sea we forget to Count the days" was placed on the left hand side of the layout. 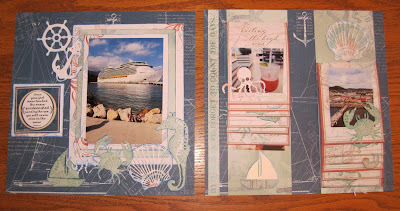 Inside of layout 2 - the open spaces on the backside of each mat is for journaling. Each photo mat has a die cut. 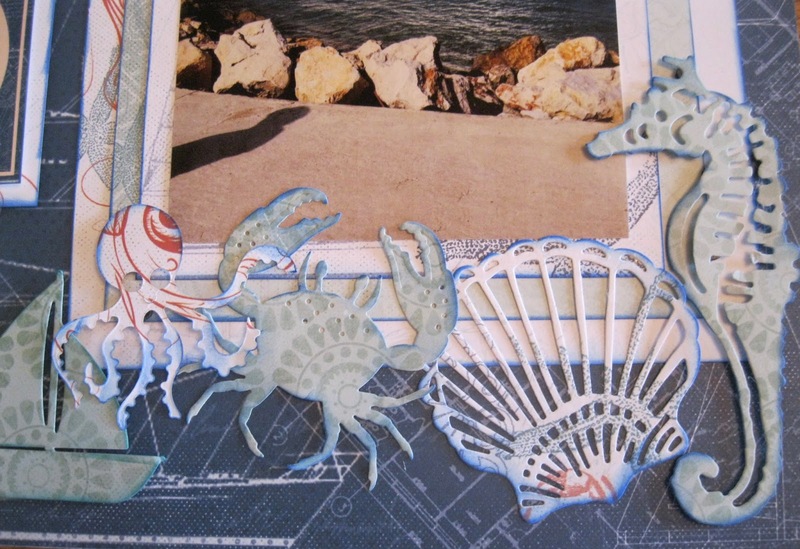 Thanks for joining us today, have a great day and have fun crafting.